Hear me describe the project in this Academic Minute. See my published preliminary articles in the New York Times, the Journal of American Ethnic History, and Blackpast.org. I welcome information you may have, including your family stories. Canada has been understood as a Promised Land for tens of thousands, escaping via the Underground Railroad. 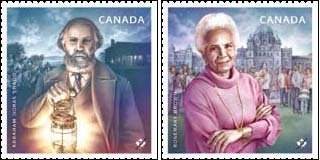 Some African North Americans found greater freedom, political rights, and economic opportunities, whether on the streets of Toronto or in the goldfields of British Columbia, on farms in Ontario or on steamboats in Canadian boundary waters. Yet those men and women, born into slavery or always in its shadow, were often redefined by having spent time in both the United States and Canada. But African North Americans also encountered discrimination that did not ebb with the outbreak of the American Civil War. After Lincoln’s Emancipation Proclamation, at least 600 African North Americans returned to fight for the U.S. Army, and thousands more returned to the United States in the decades that followed. At the same time, hundreds of men, women, and children traveled north to Canada, even after emancipation. Crossing the Border is the first comprehensive study of these African North Americans, born free or enslaved, who crossed or re-crossed the U.S.-Canada border after emancipation in the United States. 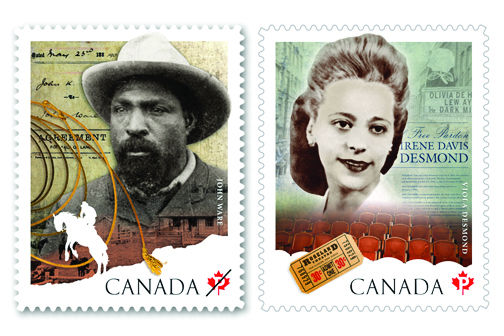 It argues that time in Canada gave African North Americans the power of comparison: When struggling for access to social and political participation and economic opportunity in the United States, these individuals had a reference point in British North America (Canada), a similar but distinct Anglo-American society with a different history of slavery, emancipation, and claims for equal rights. Thus African North Americans could introduce new arguments into debates about the meaning of citizenship and the basis for equal rights, changing the formulations of freedom and liberty during the Civil War, in the Reconstruction amendments to the U.S. Constitution, and beyond. By reconsidering African North American political actions, economic choices, and cultural arguments within a transnational context, Crossing the Border provides a new understanding of the source of political and cultural currents in U.S. history from the beginnings of the Underground Railroad to the death of the emancipation generation (roughly 1830-1920), expanding the geographic scope of Reconstruction and of African American history northward. Crossing the Border argues for the importance of the U.S.-Canada border to African North Americans and emphasizes the significance of this border within U.S. history generally. It includes African North American history from both sides of the U.S.-Canada border, and stretching from the Great Lakes to the Pacific, from the Deep South to the maritime provinces and beyond. With the assistance of a National Endowment for the Humanities (NEH) fellowship, archival research, and assistance from many community historians and genealogists, research for this book is underway, focusing on political and economic choices and social and familial networks. Through the recovery of forgotten stories, this book will document how these African North Americans saw both countries anew. It will use their experience to deepen our understanding of the U.S.-Canada border in world history.